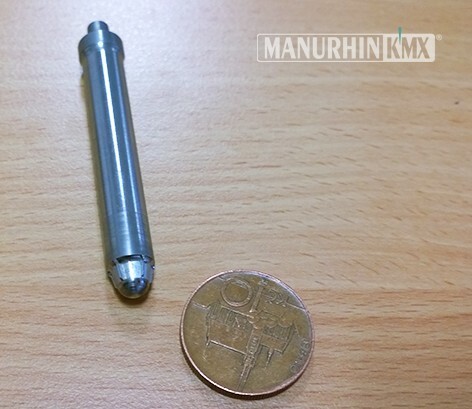 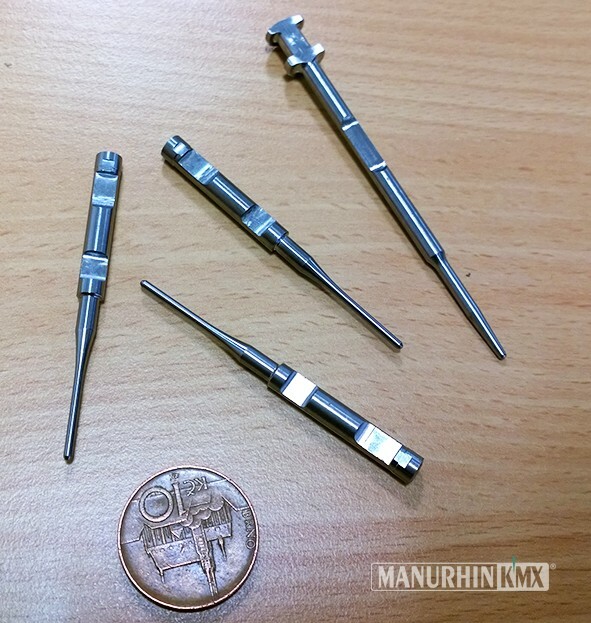 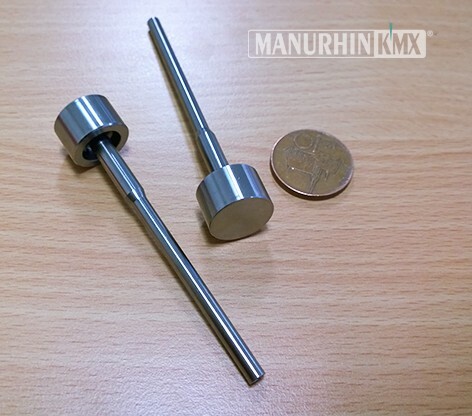 THE MANURHIN K’MX 632 DUO is designed for productive machining of parts for bars with a maximum diameter of 32 mm. 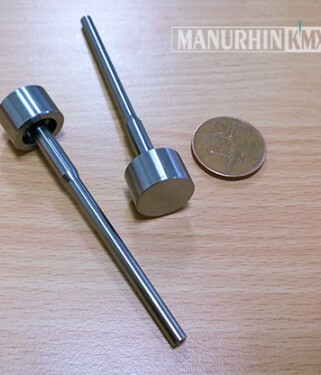 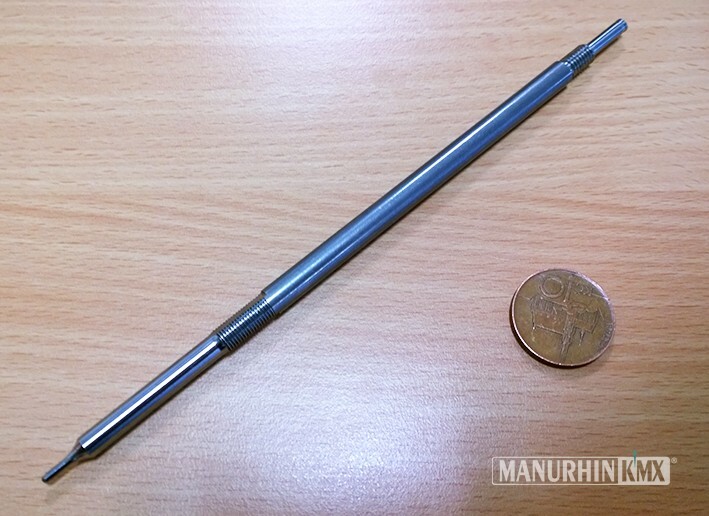 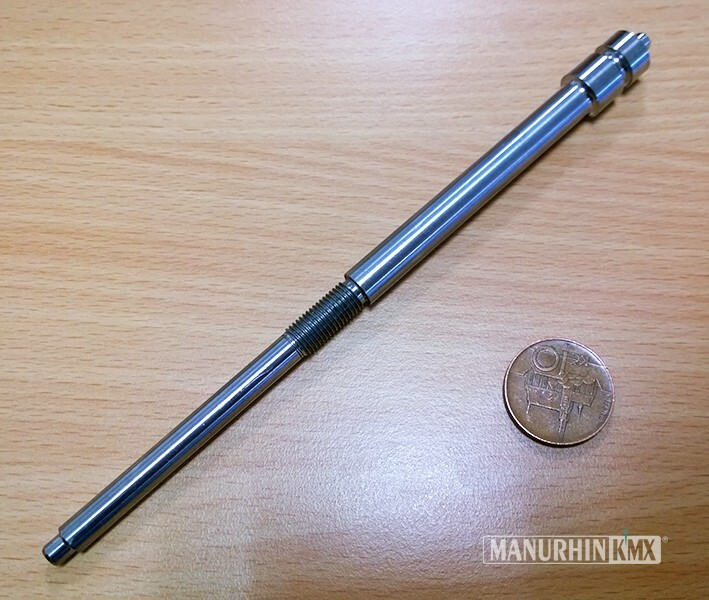 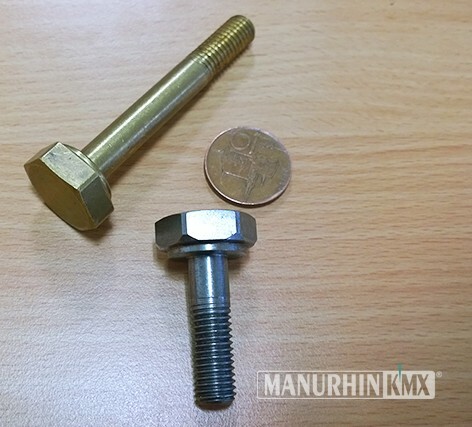 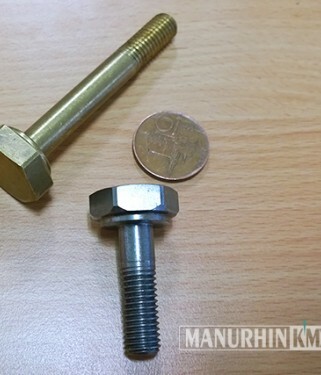 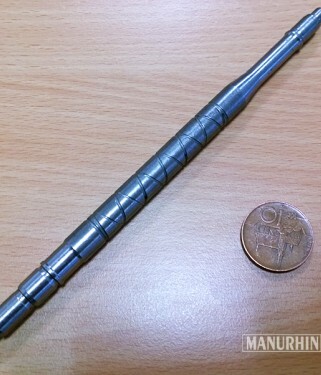 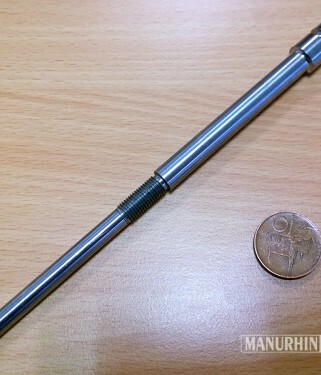 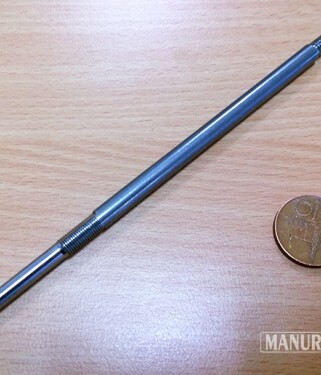 With a spindle bore diameter of 37 mm, no modification of the end of the bar for bar feeder collet is needed. 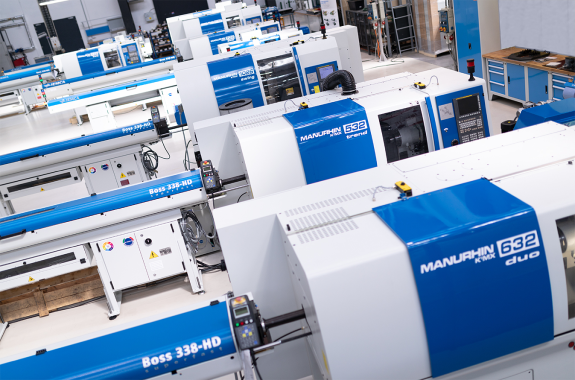 The machine comes standard with two electro spindles, each with a maximum speed of 10,000 rpm and with a rotary guide bush synchronized by pulleys and belts from the main spindle. 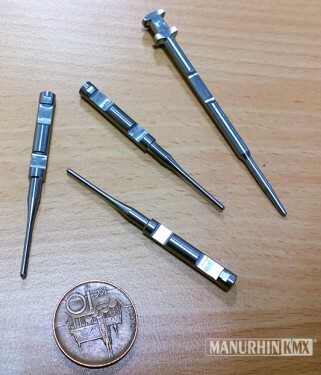 Six linear CNC axes (X1, X2, Y1, Y2, Z1, Z2) and two rotary axes (C1, C2). 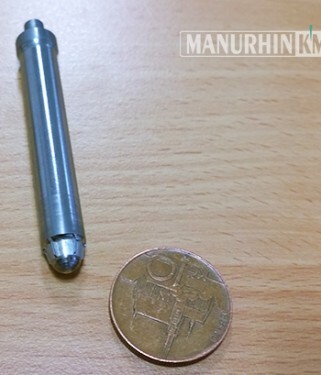 The machine is very strong when milling, with torque up to 32Nm! 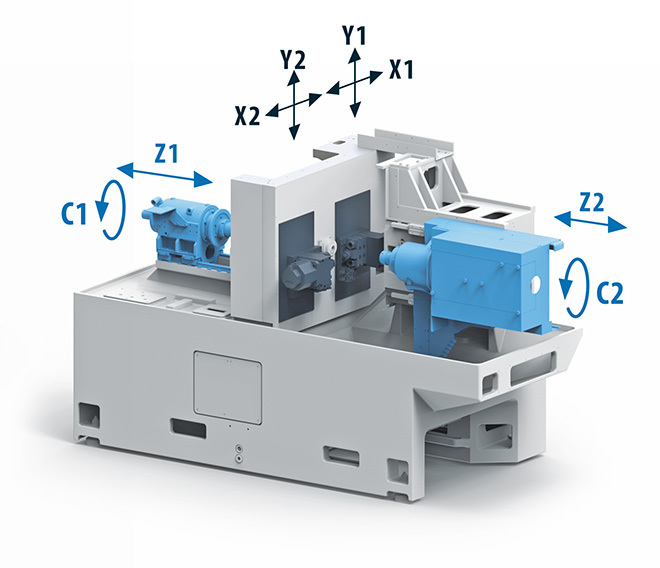 Another big advantage of this model is possibility of parallel turning or milling with two tools at the same time.